For decades the neon sign at 15th and Delaware made this claim. Or variations thereof as certain letters burned out. But the Carpet City building recently changed hands and is currently being renovated for use as medical offices. The sign was one of the first things to go. Unfortunately the sleek sandstone building is also losing some of its most unique characteristics. 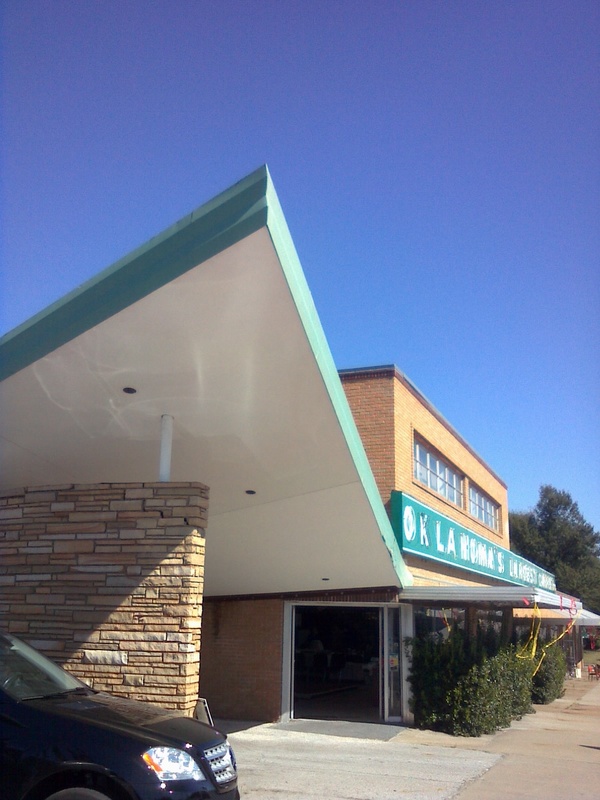 Namely, the swooping triangular carport that has been a landmark since 1948. 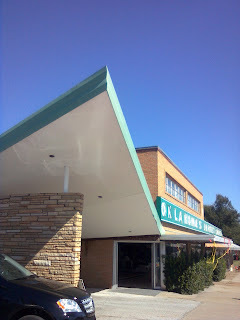 Yesterday we drove past and saw the front of the building stripped of its Mid-Century charm. Here's a photo of the building a from a few weeks ago. Today it's not quite as cool.